Thanks Al, I am electrician and I understand and have checked things you are talking about and understand the bonding process as it is used in the electrical industry religiously. What I think some of us may be missing, and correct me if I am wrong, we are talking about such things as your transducer brackets, swim platform ladders or possibly any metal object that is not connect in some form to the negative ground on your supplied voltage system on the boat. Also what your thoughts about, the 6ft radius on anodes when you have at least three of them located on the stern of the boats? Should that take care of anything on the stern, that is mounted back there? I am sure that real what should happen is for everyone to just take a multi meter and check everything. That being said wouldn't most boasts still have a problem with their down riggers? Dear I wanagofish, Nice topic but I noticed no one has asked you what you think about Cannon down riggers that use ion control. Also I didn't see any conversation about inboard engines and fiberglass hull. What information do you have on these to topics? The boat is ready to fish and is in the water for a test run. The equipment list is below and all maintenance records are available. The boat has Mercury 4.3 inboard outboard engines with 2400 hours and plenty of life left. The boat fishes well and handles rough water nicely. There are extras not listed but come standard on this boat. We are in Holland Michigan and available to see with appointment. We are selling the boat only to move up to a bigger boat. We are asking $10K without a trailer. Raymarine Radar Unit RL-70C Raymarine Sonar SL-760 Raymarine Auto Pilot ST6002 Fish Hawk and probe 3 Cannon Mag 10 with rod holders Sea Ray back to back seats, new 2 year ago New canvas top and side curtains last year New Wash down pump this year New Transom installed 5 years ago Radar Arch rod holders and Cannon inline board, rod holders. Shore Power and charging system Two 100 gallon gas tanks Head, Kitchen, V bunk and Refrigerator new last year. Stereo system throughout the boat. Led Flood Lights Bilge Pumps forward and aft new 2 seasons ago Starboard out drive has a new transom plate and new bellows. The port out drive has been rebuilt and both out drives have new props to 4 bladed. New shift cables this spring and steering cables were replace 2 seasons ago. Boat also has hydraulic trim tabs and new whale tails this spring. We have fished this boat in many tournaments and have won several times with it. We are selling to move up to a bigger boat. I can't believe how long I had the previous add for a team fishing partner on here and no one really answered. Either not enough people look at this site or there is not enough fisherman out there who are interested, I will let you choose which one it is. That being said here I go again. I am looking for someone who has the time (retired maybe) to share in hunting and fishing trips, weither its ice fishing, big lake fishing, walleye fishing, or hunting anywhere in the USA. Please contact if your interested and have the time and money. Cannon Adjustabler Rod Holders Dual Axis 4 New in the box Cannon Adjustable Dual Axis Rod Holders. $300 for all four my boat is already loaded with them and we love them. Weekend report Fish this weekend both days with 4 to 6 ft waves limit catch mixed bag awesome bite. Tournaments Looking for an experienced fisherman to help fish tournaments and fish in general, on Lake Michigan east side of lake. Call me at 616-886-6820 to discuss. 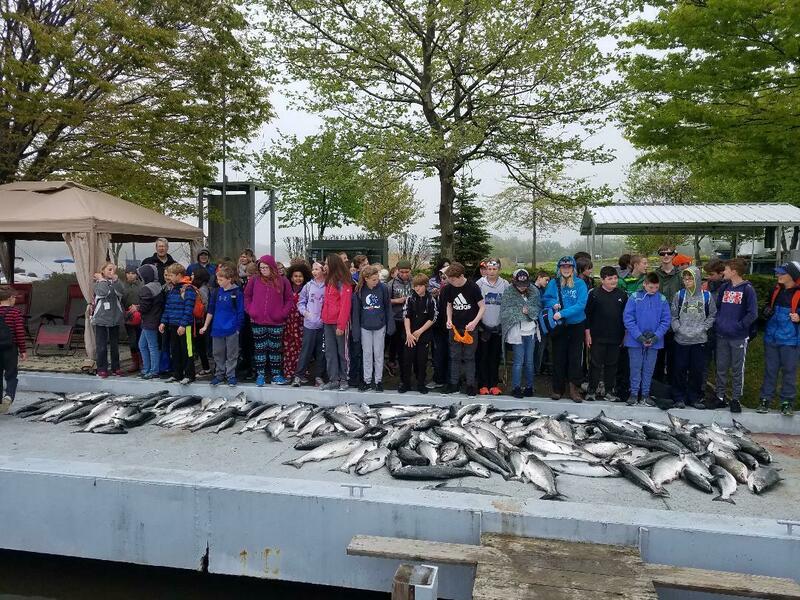 South Haven Tournament Looking for experienced person to fish South Haven Tournament this May 20 and 21st also pre fish. Partnership could lead to more fishing. Contact me at 616-886-6820. Need fishing Buddy I need a more reliable fishing buddy to share expenses and likes fishing in Lake Michigan. I am slipped in Holland with a 27' Sea Ray fully loaded. If your interested or have any ideas let me know. I am experienced and would be willing to teach. Hey have you heard about somebody catching 33 pound king up that way?